The Bristol and West of England Consortium for Continuing Professional Development in Aerospace (CPDA) (formerly Aerospace IGDS) is a professional development programme which can lead to the award of an MSc, a Postgraduate Diploma or a Postgraduate Certificate. Since the Scheme first began in 1991, the CPDA has expanded significantly to incorporate the needs of other industries as well as aerospace. It also allows non-graduates to apply for entry onto a postgraduate programme. The Scheme's new title of CPDA therefore reflects these changes. The CPDA is offered jointly by the University of the West of England and the University of Bristol, working in partnership with, amongst others, Airbus UK, BAE Systems, Rolls-Royce plc, Westland Helicopters, DERA, the DPA, and the MOD (including Qinetiq). The Scheme now includes participation from 65 aerospace companies and four universities. A key feature of the CPDA is that it is developed, managed and delivered in partership with the companies and universities involved. Students (or delegates) from companies and organisations come together from aerospace and other industries to undertake selected technical and management modules, within the fields of Aerospace, Design, Manufacture and Management. Modules can be taken either as part of a postgraduate qualification (Certificate, Diploma or MSc) or on an individual basis as short courses. The intention is to develop the professional capabilities of engineers and managers, to enhance their technical and business awareness, and to prepare them for key functions within the industry. Delegates are normally company sponsored with at least three years' industrial experience. 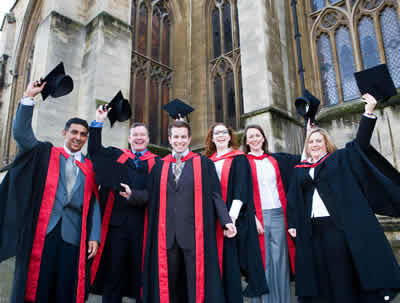 They may have degrees in Science, Engineering or Mathematics, or hold other appropriate qualifications such as an HNC with eight years' industrial experience, or an HND with five years' industrial experience, plus proof of working as a professional engineer at the graduate level for at least two years. Applications from those with BTEC and NVQ qualifications are also encouraged. Special arrangements are now available for non-science graduates to join the programme. Each module is one week in length and consists of approximately 35 hours contact time, including lectures, demonstrations, visits, laboratory work, tutorials and case studies. The emphasis is on industrial applications and shared work experience, and there are contributions from eminent speakers from partner universities and industry. Each module also includes pre-module preparation and a post-module assignment or directed work. The MSc programme involves successful completion of 12 taught modules and a dissertation. The Postgraduate Diploma and Postgraduate Certificate require successful completion of 12 and six modules effectively. 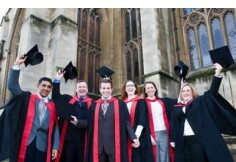 MSc students normally carry out a company-based research project as their dissertation. Assessment will be by means of post-module assignments.